More Health Problems Reported With Skin And Hair Products : Shots - Health News Manufacturers are not required to tell the Food and Drug Administration about safety issues with cosmetics or hair and skin care products. That can leave people in the dark about health risks. 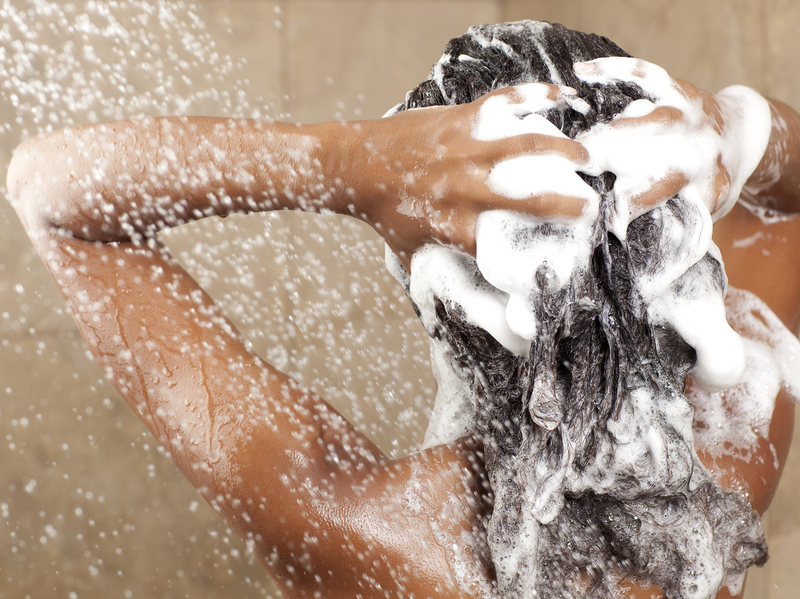 Problems with hair care products are among the most common in the FDA's database. We rub, pour, sprinkle and spray them all over our bodies, so you'd hope cosmetics would undergo serious safety oversight before they get into our hands. But in fact, the cosmetics industry is largely self-regulated, with no requirements for approval before going on the market. And once on the market, there are few systems in place to monitor the safety of personal care products. "You can start making a cosmetic and start selling it the next day without any kind of permission from the FDA," says Steve Xu, a resident physician in dermatology at the McGaw Medical Center of Northwestern University and author of a study on problems with personal care products published Monday. If you suspect that a product has resulted in an "adverse event," such as a rash, nausea, stress, or even death, you can report it to the manufacturer or tell the Food and Drug Administration. And while that might get you an apology and some coupons, there is no guarantee that your case will be investigated, or that a manufacturer will report it to the FDA. Although the FDA had received only 127 complaints about these products by that time, the manufacturer had received about 21,000 complaints, according to the FDA. Unfortunately, manufacturers have no legal obligation to report adverse events to the FDA. So the FDA has asked the public to submit complaints about WEN conditioners directly to the agency. Many of the 2016 complaints, says Xu, were a direct result of that call to action. The agency also welcomes reports on problems with other personal care products through its online MedWatch system. Guthy-Renker, the marketing company behind WEN products, said in a statement to NPR after the story published, "We welcome legislative and regulatory efforts to further enhance consumer safety across the cosmetic products industry. However, there is no credible evidence to support the false and misleading claim that WEN products cause hair loss." In an editorial also published in JAMA Internal Medicine, former FDA Commissioner Robert M. Califf and his co-authors say there needs to be better premarket assessment and postmarket surveillance of cosmetic products. Substantial improvements to cosmetics regulations, they say, would require more support for the "chronically underfunded" FDA, mandatory registration of cosmetic products, and modernization of cosmetics oversight, based on systems the FDA already has in place for drug and device monitoring. With these changes, they write, "we can achieve the high levels of safety people in the United States have a right to expect." Editor's Note: This story was updated at 12:00 pm on June 27 to include a statement from the company behind WEN products.